I’m pretty proud of this one. The authors of Cassette 50 – a notorious collection of primitive, mostly BASIC games advertised in seemingly every single ’80s game magazine, every single month – were mostly anonymous, uncredited kids, paid just £10 for their efforts. In 2005, thanks to a name left on a title screen and a few hopeful phone calls, I tracked down one of the games’ creators, now all grown up – and able to tell the story of how he (and his dad) put his little heart into that little game. Amazingly, he’d never even heard of Cassette 50: he’d sold his game, got his £10 and thought nothing more of it. My call prompted him to fire up Galaxy Defence for the first time in years, and show it to his son. Aw. Everyone remembers Cascade’s Cassette 50 – for all the wrong reasons. Copiously advertised in every early-’80s Sinclair ZX Spectrum magazine, it promised 50 all-action games with spine-tingling names like ‘Galaxy Defence’ and ‘The Skull’. Many a kid was hoodwinked into ordering it – the lure of that Free Calculator Watch was just too strong. And what did they get? Game upon truly awful game of basic, BASIC, bug-ridden horror. Despite the unrivalled notoriety of Cassette 50 – it’s spawned the C64 Crap Game Competition and the CSS Crap Games Compilation – not one of the original authors has ever come forward to give their side of the story. Until now, that is. We’ve tracked down Matthew Lewis – the man responsible for game number 45, Galaxy Defence. Here, for the very first time, is the story behind 1/50th of Cassette 50. How did you get into Spectrum programming? Matt: My first experience with computing was the ZX81, which was totally fascinating. My mate had one. 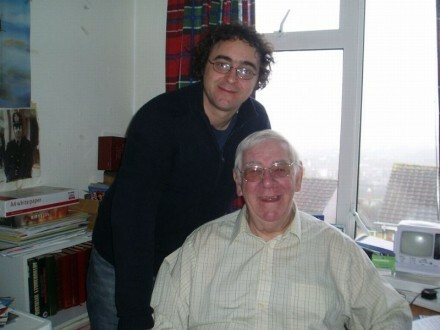 He was an incredibly posh guy: his dad was a physics teacher. Then I had a Vic 20. I was lulled into thinking that was a good machine, but I didn’t find it up to much. Then the Spectrum… we thought it was amazing. Games like Scramble and Manic Miner. Buying magazines and typing in a game listing for hours and hours, only to find it wouldn’t work. That was a group activity, to work through a game listing and get it working. “It taught a generation how to code,” as the song goes. Right. The thinking, the logic behind it – it’s a wonderful thing. It’s a shame I didn’t bother keeping it up. There’s a really good learning curve when you’re learning how to program. With modern PCs, I have a rough understanding – but really they’re beyond me now. I take the PC to the shop to get it fixed. The Spectrum’s very simple: you turn it on, you’ve got the operating system in front of you. That’s it. The concept of Windows, sitting on top of DOS, sitting on top of a BIOS… I just don’t understand it. So, the big question – how did you end up on Cassette 50? I was 14 at the time, I guess. There was an ad in our local newspaper, The Argus. It was probably the smallest ad in the paper – a tiny little box, black-and-white, asking for Spectrum games to be sent to some address. I don’t think it even had a company name on, just an address somewhere not too far outside South Wales. It was just an approachable ad – it didn’t scare me. If it had been a bigger software house, someone I knew, then I wouldn’t have sent anything off. But I’d written this thing, so off it went. I didn’t hear anything for a couple of months, and then a cheque arrived for £10. I thought, this is it! I’ve made it! £10! That’s fantastic! But the letter did say that by cashing the cheque, I’d give up all rights to the game. Nothing. I had no idea what happened to Galaxy Defence. No letter back telling me what Cascade were going to do, no offer of a free copy of the game… nothing. But quite a while later, I had a letter from some guy in Devon or Cornwall, asking how I programmed the game, and how he could get characters moving around on-screen like I had. That was how I found out my game was on sale somewhere. He did say he’d really enjoyed playing it. If Galaxy Defence was one of the better ones, then… well. Matthew and Ernest Lewis: Then (top) and Now. So this is the first you’ve heard about Cassette 50? I had no idea. I probably got into girls shortly after. I’ve never thought twice about it since. I’ve told a few friends since that I once sold one of my games for a tenner. Now I can prove it! So you’re not offended that Galaxy Defence and the rest of Cassette 50 has come in for more than a little stick among the Speccy community? No, not at all. I came across the Crap Game Competition the other day and just howled with laughter. So tell us – how long does a game like Galaxy Defence take to code? It would have been done over several evenings. A project like that would have been about 12 hours, starting from scratch. I was really chuffed that I managed to get the rockets to hit something. I didn’t want much more than that, really – just to find out how to get a missile to blow up an alien on a screen, to work out the steps needed to make it happen. I only played it once or twice. It was more of a project than a game to actually play – I just put it to one side after it was done. Yep, that’s my dad, Ernest. He helped me draw the aliens. I drew the boxes out for him – each box being a pixel – and he coloured them in and came up with some cool-looking aliens. So do you wish you’d never cashed that cheque? Doesn’t make much difference to me – I don’t think anyone else would have bought the game! I wish Cascade had been fairer, though – told me what was going on or given me a free copy of the tape. 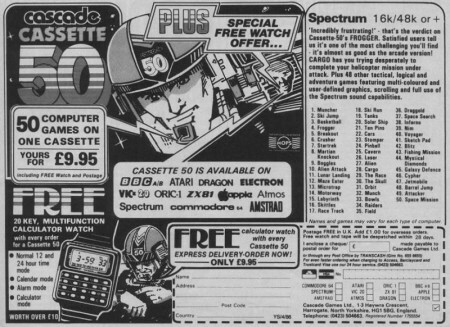 I’ve had a look at the Cassette 50 ads now, and I can see how so many kids bought into it: all those fantastic sci-fi names for the games, it’s no wonder kids thought, “I’ve got to have it.” And a free digital watch! It would be interesting to know how much money it grossed. They must have made a fair whack of dosh out of that thing – yet creating it was basically free for them. Do you remember what you spent the 10 quid on? Probably computer games, to be honest. I have a copy of Cassette 50 for the Amstrad CPC. They are ‘interesting’ games! I had/still have the Amstrad CPC6128, so I copied the games to disk. As they were simple BASIC games, there was not copy protection. Great to read a bit of the back story to this after all those years. What a shame they never told the writers what happened to their games. Great detective work and interview. Thanks. And thanks to Andy for pointing me in this direction. I had (have?) a copy of the BBC micro version. I had always assumed that each game was converted for each of the different platforms the tape was available for. Now I wonder if any game appeared on more than one version of the tape. I know I was disappointed with the quality of the games and probably only tried each one once but I did check them all to see if there was a hidden gem. There wasn’t. Although the tape was a disappointment, at that price it wasn’t a surprise and to be honest I was more interested in the free calculator watch. I don’t think I ever actually wore it but I did have great fun trying to work out the instructions. See http://bit.ly/9KqKP5 for a copy. 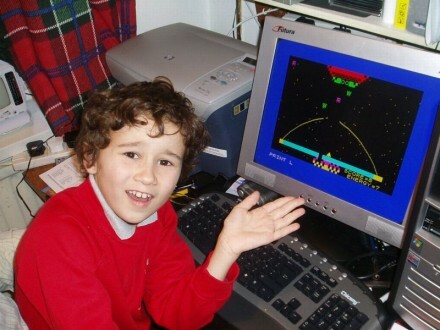 I have fond memories of those days of the Speccy. It’s sad that kids grow up nowadays with no concept of how to program a computer. I wrote the game ‘Space Ship’ on the C64 version of the cassette. 30 odd years later it cost me £5 to buy a copy on eBay, thus eating into my profits from the original sale! Pretty weird playing a game that I wrote when I was 13 via an emulator on my Nexus 4. Happy days! Excellent interview and article, thanks! I have the C64 version of this collection. Never loaded it up (yet). I never had the ‘pleasure’ of a cassette 50 back in the day, but I am going to try out Galaxy Defence today! Great article. I remember playing all the games and the excitement was in loading them up and seeing what they did. Galaxy Defence was definitely one of the better ones and you could tell a lot of thought went into it, unlike some others. . . .